"My sadness comes from knowing all the above, while also knowing how far we have fallen behind Thailand in agriculture and overall economic development. 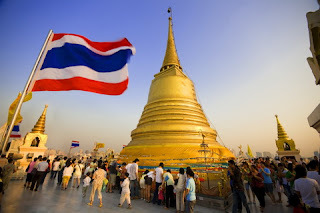 As of 2010, Thailand's per capita income ($5,325) was well over twice ours ($2,215). Our population was 92.6 million against Thailand's 67.3 million, or a difference roughly equivalent to the entire population of Mindanao. The share of the industry sector (including manufacturing) in Thailand's total output grew from 23 to 40 percent from 1970 to 2010; in the Philippines, industry's share only inched up from 28 to 33 percent. Rice in Thailand now costs only half as much as ours, and the country is a major rice exporter; we have become the largest rice importer worldwide. But what particularly struck me again last week was seeing such a rich variety of dried tropical fruit products fetching rather steep prices at Suvarnabhumi Airport's duty-free shops. I cannot see why we are unable to do as much with our own abundant fruits, especially in Mindanao."